Location Location Location, this 4 bedroom 2 bath home is near Old Granada Hills, and the Best Shopping & Dining in the area. Walk to Food Truck Friday's and be in the Granada Hills Charter High School District. The Kitchen that has been upgraded with Granite Counter Tops and Stainless Stove that leads to the backyard space with fruit trees. The Living Room has a beautiful beamed ceiling. Dining area has recessed lighting and opens to a cozy family room. One down stair bedroom has glass french doors that could also be used as a home office. The additional two bedrooms upstairs have access to attic storage. 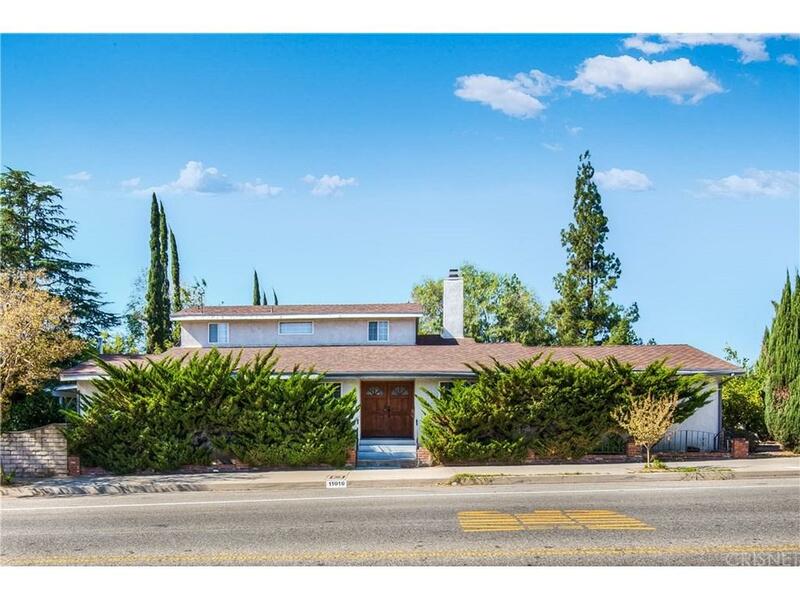 Come see what this Granada Hills Charmer has to offer!